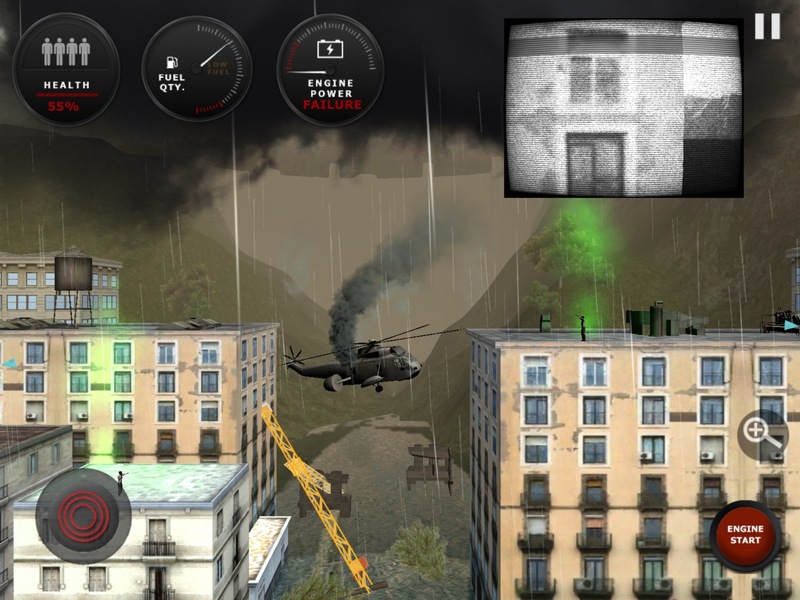 Take charge of a rescue chopper and fly through storms and obstacles to find missing casualties in this action-packed 2.5D rescue helicopter mobile game. Can you find them all and save the day? DOWNLOAD to your device now. 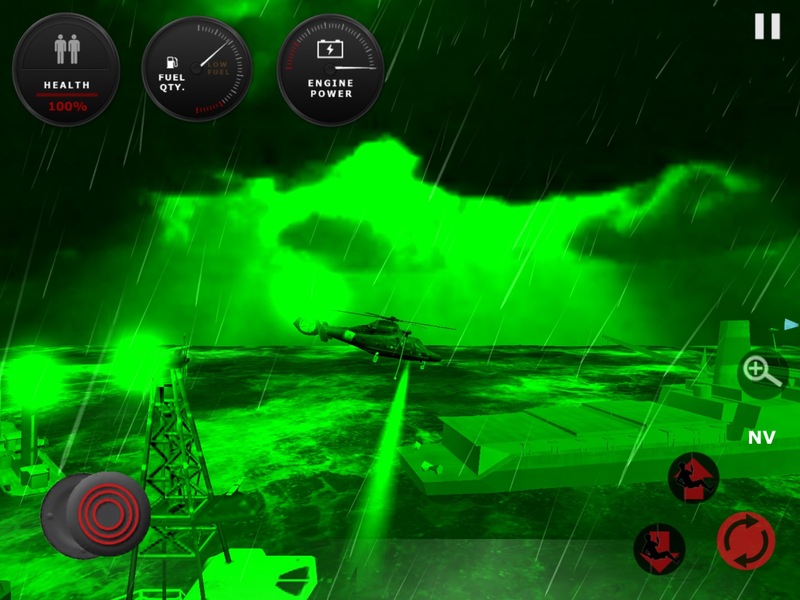 Each of the missions are different, set in awesome locations, from stormy oceans to mountainous locations. Survive a dam explosion, lightning strikes, engine failures and many more hazards. When you are unable to land, use the winch to rescue casualties or manoeuvre your water bucket to extinguish fires. Loads of achievements to complete, bringing you hours of gameplay which let you to unlock the secret level if you succeed. You can change the controls from joystick to tilt at your preference, and for players who like a challenge, remove all the search arrows to make the game more difficult.